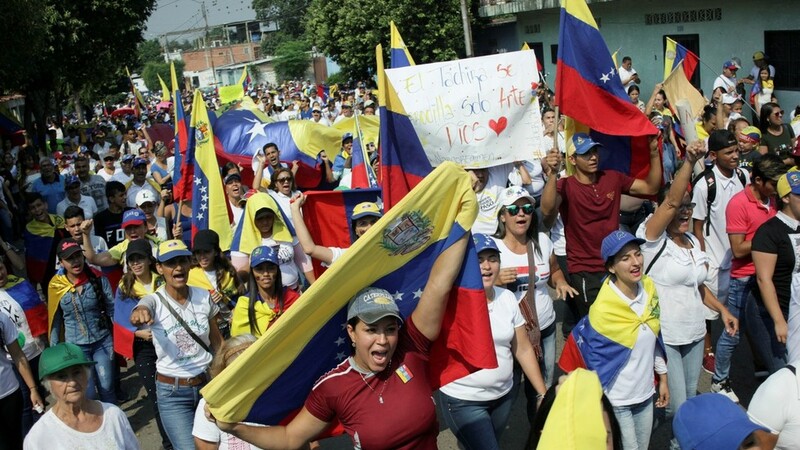 The Trump administration now asserts that there’s “no timeline” for regime change in Venezuela – what RT’s Igor Zhdanov described as a “thinly veiled admission of failure.” Washington still contends that “all options are on the table” – but how many options are left? R ~ gee, no sales of weapons to Turkey and now no oil to be stolen from Venezuela. The 'coalition' hold on Syria and it's oil reserves is rather tenuous. Rough times ahead for the (((deep state))) war chest. In any case, to his credit, Trump was letting his war department rant and rave when all the while he wasn't going to go military on Venezuela, in spite of his rhetoric. This is somewhat similar to how he 'dealt' with N Korea - a great deal of verbiage but no actual hostilities. Frankly, another war would be a really bad idea and Trump knows it. His slim hold on the bureaucracy would simply be swamped by the shrill voices that will be raised from the war party in Congress.